Roi Et is one of thehistorically rich and diverse cities in Thailand. Located in the middles ofIsan, the northeastern region of Thailand, the city is a premium touristdestination, attracting tourists from all over the country and internationallyas well. Also referred to as “the city of eleven gates”, the city boastsbreathtaking architecture such as the Khmer-inspired temples and the biggeststanding Buddha statue in Thailand at Wat Burapapiram. The city has apopulation of about 40,000 making it lively without being crowded. Among thevast attractions, is a variety of natural and cultural attractions whichinclude jungle trekking and overnight camping in the Tham Phan Nam Thip. And thanks to the nearby Lake Bung Phlan Chai, visitors get toenjoy a number of water sports as well. The city is decorated by all yearhappening with the Bun Khao Chi and Pho Chai Products Festival taking centerstage. Add to that the amazing accommodation and the delicious Thai recipes,and the city can be a must visit. The Roi Et Airport is located 11 miles from the Roi Ettown center, a 23-minute drive. Airlines operating the route include Nok Airand Thai AirAsia. From Bangkok Suvarnabhumi (Thai Airways) the nearest airportis Khon Kaen (Thai Airways). From there you can comfortably connect to the citythrough alternative means. The best way to cruise to this through the provinceto this beautiful city is by a car. This will allow you to comfortably take inthe great landscape and other roadside attractions with liberty. 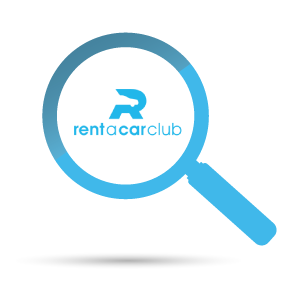 Fortunatelyenough, the Renta Car Clubcompany offers their services to the whole of Thailand. From the airport, youcan now dash to your hotel at an affordable price. Rent a Car Roi Et club offers premium services with a wide array of vehicles thatwill undoubtedly meet all your travel needs as well as taste. The bookingprocess is simplified and by simply visiting the RoiEt Rent a Car Club’s official website, youcan easily access their services. Upon clicking the booking section, you willbe prompted to select your pick up location from the resulting drop-down menu.Be sure to input your proper start and return dates so as to get the rightbilling. With Rent a car club Roi Et, booking is made easier and what’s more, by redeeming your promocode you can get a discounted price. Whether you are traveling alone, with friends or family you cannow, with the help of Roi Et Rent a Car Club you can access a cheap car rental that not onlyguarantees reliability but also class.